Rachel is the CEO of Moore of Rachel Enterprise and Mind Your Vision which is dedicated to inspiring students of every age to achieve whatever they dream to be, do, or have through envisioning, goal setting, planning, mindset matters, breaking the cycle of procrastination, and more. She seeks to inform, inspire, influence, and ignite others to appropriate action towards creating an incredibly fulfilled life of passion, purpose, abundance, freedom, and success. Since 2009, Rachel has taught family visioning, individual dream-building, and MLM Team Building techniques within seminars and workshops in the USA and abroad, sharing examples of her own success and utilizing her patented Tote-A-Vision product which is a portable vision board, to help attendees learn how to turn desires into dreams come true. Individuals, families, entrepreneurs, educators, students, and organizations have benefited from her proven success tools and techniques. Rachel is a contributing author to the bestselling book series, Chicken Soup for the Soul – “Say Goodbye to Stress” book. 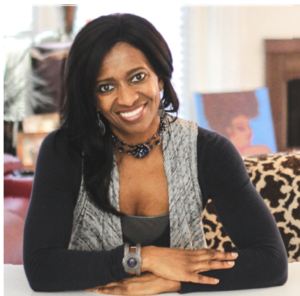 As a member of the Professional Woman Network, she is a contributing author for their “Getting Well: Mind, Body, & Spirit” book. Rachel is the author of “Rivers of Praise Worship through Movement,” a comprehensive guide to worship and “Tote-a-Vision to Financial Freedom” a workbook guide to a financial freedom journey. She inspires and empowers listeners through her Inside Out Empowerment Calls and Inside Out Living Talk Show. Her most recent focus is the “Manifest More of My Dreams” audio training programs and the preparation for the launch of her new Mind Your Vision book. Rachel is the manager mom and business manager of her son’s business “Creators Imagine” at creatorsimagine.com, where they produce high quality, creative multi-media content in video, digital animation, graphics design, photo enhancements and more.